Talk about mission critical: What does someone who wrote software for the space shuttle program have to say about ISTQB Certification? Learn more below. Rave Reviews for the ASTQB Conference! Are Requirements Part of Your Job? Tom Wissink, Senior Fellow and Director of Integration, Test & Evaluation (IT&E), Lockheed Martin Corporate Engineering, is a big fan of ISTQB Software Tester Certification. "These are effective exams," said Wissink. "I believe in them because of what they do for our people." Wissink values ISTQB Certification in particular because he sees a gap in software testing education. "Software testing is not typically taught in-depth in college programs, so the ISTQB Certification syllabi and exam fills that gap. ISTQB Certification makes them aware of what this profession should be, and gives them principles and standards they can apply," said Wissink. ISTQB Certification also helps to indoctrinate employees in a common terminology and set of principles. "Providing a common reference point has been particularly important." he added. Asked why Lockheed Martin chose ISTQB Software Tester Certification, Wissink focused on quality and training. "I’m aware of the other certification options available, but we have chosen ISTQB Certification because we believe in the quality of the syllabi. We also appreciate that usage of the certification does not require that we purchase specific training – we can choose the education that best meets our needs," he said. That education is available on demand through Lockheed Martin’s training system. "We offer a set of eight online courses as part of our online training catalog. Once someone has taken all of the courses, they are eligible to take the Foundation Level exam." Wissink also appreciates ISTQB’s global, non-profit, volunteer-driven philosophy. "ISTQB’s role in improving and strengthening our software testing profession adds credibility," he said. With 40 years of experience in the software development industry, and having written software for the space shuttle program, Wissink has a deep appreciation for software testing. However, he sees a need for continued improvement. "I don’t believe that software quality has gotten better over time. That is why I continue to work with industry groups toward better standards. I point to ISTQB Certification as a source of what is important in software testing," he said. High ranking individuals in the test and evaluation organizations of the Department of Defense and the Department of Homeland Security are familiar with ISTQB Certification, according to Wissink. "They understand that we aren’t asking the quality and testing questions early enough in the process, and they realize the value of ISTQB Certification’s syllabi in that regard," said Wissink. Building the principles found in ISTQB Certification as a standard in these agencies is a hope of Wissink, but he realizes it won’t occur overnight. "It takes many years for changes to occur in the government," he said. He is optimistic, however. "I continue to point to ISTQB Certification as a source of what is important. ISTQB has the long track record of leading the software testing profession." When asked about advice he would give to aspiring software testers beyond training and ISTQB Certification, Wissink emphasized that software testers should seek to gain a well rounded knowledge of software development. "Software testing is such a key role. It is one of the few professions that can add value to any part of the software development lifecycle." Training and broad experience, including learning to program, he says, are helpful for the career development of every software tester. Software testers from around the world took their careers to new heights by building connections and new skills at the ASTQB Software Testing Conference in San Francisco. The conference provided groundbreaking tutorials and seminars, thought-provoking workshops, and a spirit of community that was truly unique in our profession. See more photos from this amazing event on the ASTQB Facebook page. 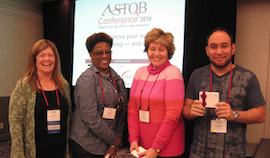 Laughter abounded during the first-ever "ASTQB Awful Bug Contest" at the ASTQB Conference. We can't disclose many details about the bug stories that were shared ... to protect the innocent and the guilty! But let's just say it's possible that an elderly lady's cell phone can crash a very large system, and apparently it's also possible for one person to have 17 identical medical procedures ... on the same day ... in different cities. Thanks to everyone that participated. 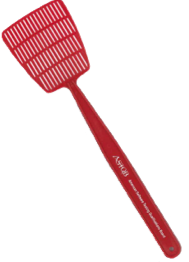 You were able to convert bugs into smiles and laughter! ISTQB Software Testing Certification continues to lead the profession with over 300,000 certified professionals worldwide. This reflects the confidence that organizations and individuals have in the scheme and the body of knowledge on which it is based. As part of its commitment to continuous improvement and the advancement of the software testing profession, ISTQB conducted an international online survey of test engineers and managers. Below are a few findings from the survey. The majority of Test Engineers undertook the ISTQB CTFL certification in order to enhance their career path and develop their testing skills. The majority of Test Managers believe that participating in the ISTQB certification scheme will positively impact testing quality in their projects and will enable them to provide a positive career path to their employees. See a full list of findings and the entire report on the ISTQB website. If people start asking you about your ISTQB Certification, it may be the result of a new ASTQB campaign promoting the benefits of using ISTQB Certified software testers! The new campaign promoting your certification is in Better Software magazine, StickyMinds.com, InfoWorld.com, and dozens of other technology websites. You will also see ASTQB's message in countless Google Adwords and Bing/Yahoo Ads. This is just another benefit of being certified by ASTQB and having your name displayed in the list of ISTQB Certified Software Testers on the ASTQB website. If you know someone who isn't certified, give them this easy to remember URL that talks about the return on investment (ROI) of ISTQB Certification: astqb.org/roi. The more people know about your certification, the more valuable it becomes to your career. Add an informative link to the ASTQB website at www.astqb.org from your resume, blog, website, resume and LinkedIn profile. Then "like" us on Facebook, and add us to your Google+ circle right now. The more people learn about ASTQB, the more people will understand how good you are! Join companies such as Platinum Partner Blizzard Entertainment in the the ISTQB Partner Program. The ISTQB Partner Program recognizes organizations around the world that have supported the professional development of their software testing staff through ISTQB certification. The Program comprises four levels of partnership (Silver, Gold, Platinum and Global) and the partnership level of an organization is determined through the number of certification points it has accumulated, which relate to the ISTQB Certificates held by staff. Honorary membership of the exclusive "ISTQB Partner Forum" which will allow Partners to receive news on the ISTQB Roadmap. Learn more and apply for the ISTQB Partner Program today. ASTQB’s ISTQB exams are approved for student reimbursement for veterans. Specifically, the GI Bill will reimburse you for ASTQB’s CTFL, CTAL-TA, CTAL-TM and CTAL-TTA exams at their applicable fees. ASTQB will be happy to provide proof of payment and exam results to any student veterans who need this paperwork to apply for the reimbursement. Learn more about the GI Bill and find instructions for the GI Bill site on the ASTQB website FAQ page. The rapid growth of ISTQB Certification in the U.S. and globally is not surprising, as the benefits of ISTQB Certification are well known. For software testers, it demonstrates your knowledge, provides a professional pathway, and makes you global-ready. For companies and test managers, it can help to build efficiency, reduce your costs, and speed delivery. However, the benefits of ISTQB Certification don't stop there, especially when you receive your certification through ASTQB! ASTQB offers sponsorships of local groups throughout the U.S., such as the recent sponsorship we provided to the software quality professionals at SQGNE, the Software Quality Group of New England. You and your company may be eligible for lower insurance costs. You receive a substantial discount on many key industry conferences. You have exclusive access to the ASTQB Career Center. Your company is eligible for recognition through the ISTQB Partner Program. ASTQB’s Foundation and Advanced Level ISTQB exams have been approved for student reimbursement for veterans via the GI Bill. You can use the ISTQB Certified Tester logo on your personal website, resume, business card, blog, Facebook page, and items from the ASTQB Store to let everyone know you are a certified tester. Congratulations on making the brilliant choice to become ISTQB Certified through ASTQB! It keeps getting better every day. Are you a business analyst who also does testing? Or a tester who also writes or reviews requirements? ASTQB offers a Business Analyst Foundation Level Certification to enhance the analysis skills of everyone that writes, reviews or maintains requirements. The Foundation level is suitable for business and system analysts, requirements engineers, product owners and product managers. Learn more about IQBBA Business Analyst Certification: the syllabus / body of knowledge, recommended reading, and a sample exam. ALP International (ALPI): Let ALPI get your test team Certified in 2014 and SAVE with multi-person discounts! Foundation Level: August 11 - 13; Advanced Technical Test Analyst: Jun 23 - 25; Advanced Test Manager: Aug 18 - 22. Test Tools training from HP (QTP,UFT,LR,QC) and Microsoft (MTM,CodedUI,LoadTest). For classes at ALPI, via remote attendance, or at your location, contact our Training & Education team at training@alpi.com or by calling (301) 654-9200 ext. 403. Promotion Expires May 31, 2014. ASPE: Save 10% on Ranorex Test Automation Training. Learn how to increase the speed, efficiency and quality of your software with an introduction to test automation. Gain practical hands-on experience with implementing robust test automation projects for desktop, web and mobile applications. This Ranorex tools course will help you decrease QA costs by teaching you to integrate test automation into your software engineering process. ASTQB members get 10% off with code ASTQB10 through June. RBCS: 20% discount off of regular $750 tuition for May 27, 2014 to May 29, 2014 ISTQB Foundation Level Extension Agile Tester virtual course. Only $600 after discount! Attendees attend the virtual classroom via GoToWebinar. Sessions start at 12 noon Central and end at 3:30 pm Central. Visit the RBCS Store and enter the code AGILE20 into the promo code field in your cart. Offer expires May 20, 2014. Cannot be combined with any other offer. Discount will be reflected on final receipt. Rice Consulting Services: Rice Consulting Services is offering a special bonus on Foundation Level e-learning and IQBBA Business Analyst e-learning team pricing. Enroll five or more people in CTFL or CFLBA e-learning courses and get one extra registration free, including exams. Use code "ISTQB6" at www.mysoftwaretesting.com when purchasing the 5-person enrollment versions. SQE Training: Register for any Advanced Tester Certification by May 31, 2014 and get the exam for free! Use promo code ADVMAY. Restrictions apply. Looking for Foundation Level Training? Our full Spring 2014 schedule is posted here.